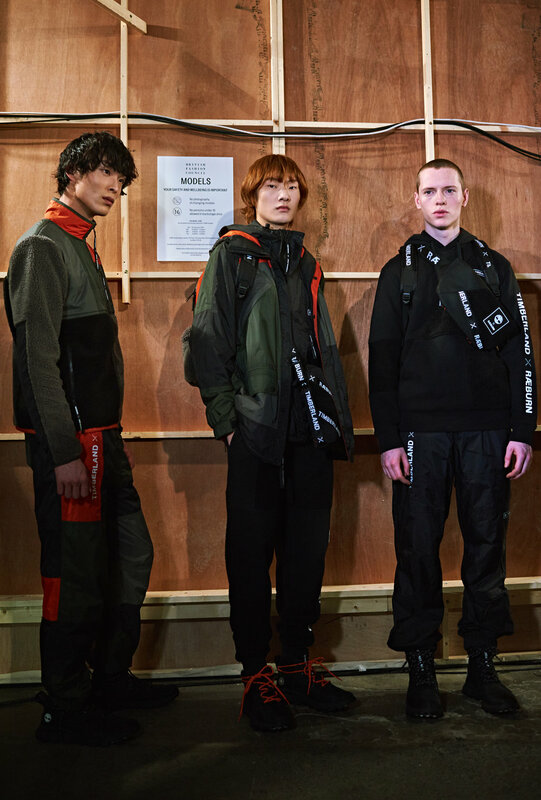 This season, Christopher Raeburn celebrates ten years in the industry, and for his fall/winter 2019 collection we got to see highlights inspired by iconic pieces from the house, reinvented and revisited using new and innovative materials and modern silhouettes. The brand has been celebrated for its sustainability and intelligent design while actively pushing the industry to think smart for the future of the environment. 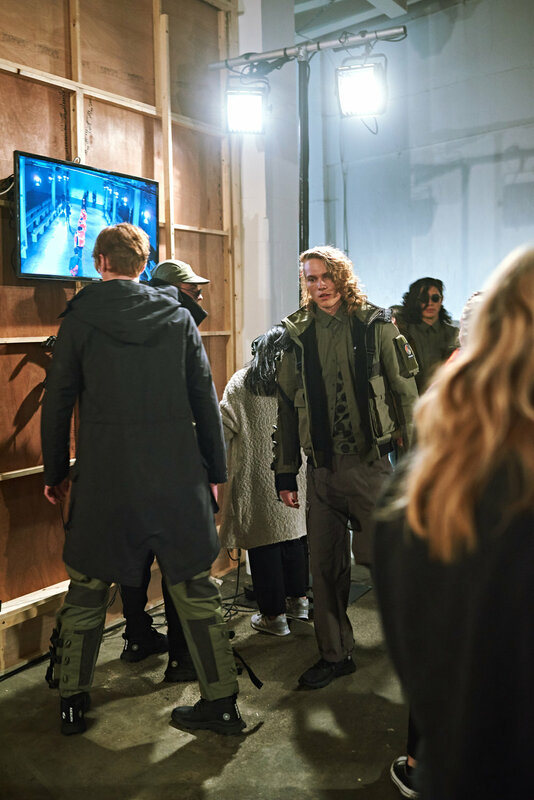 This season, Christopher Raeburn constructed his collection from deadstock materials as well as waste fabric from the Raeburn lab, focusing on a positive future with its dedicated no-waste initiative. The collection was classic Raeburn, smart pieces designed to be functional, yet cut and styled with a fashionable eye. Original typhoon suits - originally designed for protection against the elements - were deconstructed and intelligently reconstructed using the Raeburn Cut n’ Shut patchwork technique to create an extraordinary parka with matching pants. The collection saw color with Hi-Viz orange jackets, coats, caps and cross body bags all created to maximize function with a modern and clean design aesthetic. We saw print in red and white plus Anoraks, culottes and shirts designed using the iconic air brake parachute, but refreshed and reworked. Each piece was cleverly thought out, designed and constructed to showcase Christopher Raeburn’s talent and dedication to recycling, being sustainable and paving the way to a future for other ethical fashion houses while still remaining relevant and fashion forward with that unique aesthetic that everyone knows and loves. This season Raeburn also once again teamed up with Timberland, to create pieces with Timberland silhouettes such as the iconic weather breaker jacket but using traditional Raeburn recycled and ethically-sourced creations and materials. As always, Raeburn’s collection was cleverly designed with function in mind from cutting-edge materials pushing the boundaries of recycling, practicality and elegant design. Attractive utilitarian streetwear at its best.